This self-cleaning combination wall oven helps you get the right settings every time. The touchscreen provides instant access to settings your family uses most. This versatile convection countertop microwave brings virtually any recipe within your reach. 1000 watt microwave and 1400 watt convection elements combine to cook with microwave speed, roast evenly, and sear like conventional ovens. Six quick-touch preset modes eliminate guesswork. The 13 1/2 inch turntable is recessed to maximize the 1.5 cu. ft. capacity. 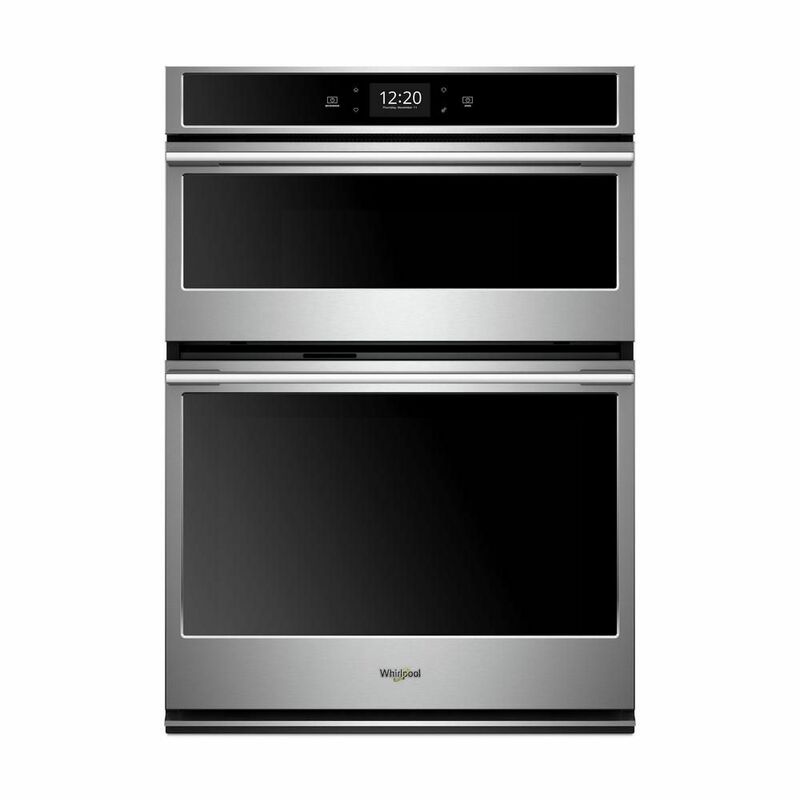 30 inch or 27 inch Trim Kits provide a sleek built-in look when paired with a single wall oven. With 0.9 cu. ft. of capacity, this Whirlpool countertop microwave offers enough room for everyday dishes without taking up valuable counter space. Sleek electronic touch controls allow for easy navigation through multiple cooking modes and options, while the smooth surface makes cleanup simple. This countertop microwave delivers convenient features that are easy to use no matter who's doing the cooking. Sensor cooking automatically adjusts the cook time so there's no need to guess. The 1,100-watt microwave cooks food quickly and evenly and a recessed glass turntable makes room for larger items. From sides to snacks, enjoy fitting cooking into any schedule. 6.4 cu. ft. Smart Combination Electric Wall Oven & Microwave with Convection in Stainless Steel This self-cleaning combination wall oven helps you get the right settings every time. The touchscreen provides instant access to settings your family uses most. 6.4 cu. ft. Smart Combination Electric Wall Oven & Microwave with Convection in Stainless Steel is rated 4.0 out of 5 by 1. Rated 4 out of 5 by Anonymous from The Bluetooth app doesn’t work as well as it should.... The Bluetooth app doesn’t work as well as it should. But the basic functions of the oven work really well so far.